In a decision of first impression in the state and federal appellate courts throughout the country, the Virginia Supreme Court issued an opinion in a case filed by CPM in 2007, Commonwealth v. Commonwealth ex rel. Hunter Laboratories, LLC (Va., Aug. 9, 2018, No. 170995) 2018 WL 3768538, holding that the whistleblower’s award under Virginia’s false claims act must be calculated based on the total amount of the settlement of a qui tam case, not just the portion retained by the state. The underlying settlement was a part of over $300 million in settlements paid by Quest Diagnostics, Laboratory Corporation of America, and other laboratories under state false claims acts around the country between 2010 and 2017. Whistleblower Law for Whistleblowers: A Practical Guide Part 5 covered the rewards mandated by false claims acts in whistleblower cases. In this case, CPM argued that the Virginia Fraud Against Taxpayers Act (VFATA) required the mandatory relator share to be calculated as a percentage of the total amount of the settlement. Virginia took the position our client was not entitled to a percentage of the Medicaid funds that the state had to return to the federal government, arguing the share was a percentage of the “net proceeds.” As a result, Virginia paid 11% of the total amount of the settlement, far less than the 25%-30% that was statutorily mandated in a non-intervened case. 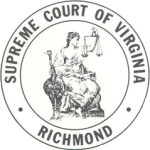 The Virginia Supreme Court, affirming the trial court, ruled in favor of CPM. The court’s opinion soundly rejects the arguments advanced by Virginia which would have laid the groundwork for state governments to drastically reduce the amounts paid to successful qui tam plaintiffs. Slip Opinion at 5, italics in original, underlining added, 2018 WL 3768538 at *3. Second, the Court’s opinion emphasized the importance of private citizens coming forward to the ongoing success of false claims statutes. “The Commonwealth [next . . .] asserts that the VFATA was enacted with the chief purpose of returning misappropriated public funds to the treasury. Extrapolating from this intent, the Commonwealth posits that the share of a qui tam recovery to which the United States government is entitled must be deducted from the overall proceeds. Once this deduction is made, the relator’s share can be taken out of what remains. This procedure, it argues, will maximize the funds recovered by Virginia. Slip Opinion at 6-7, emphasis added, 2018 WL 3768538 at *4. Third, the Court’s footnote in the quote above, described the federal law relied on by Virginia. Slip Opinion at 6-7, fn. 2, 2018 WL 376538 at *4, fn. 2. In summation, the Court stated, “[t]he argument the Commonwealth advances, that the United States is entitled to a full repayment undiluted by the cost of the relator’s share, does not find any support in the text of federal statutes, case law, or United States regulations or guidance.” Id., emphasis added. In 1986, Congress decided to promote whistleblower lawsuits as a method of deterring and uncovering fraud, and over half of the states in the country have followed suit. For over thirty years, false claims acts have been, and remain, among the most successful fraud recovery devices the government has, and private citizens willing to do the right thing are often the first people positioned to expose a fraud against taxpayers. Whistleblowers now have a state supreme court decision to rely on in seeking the fair, just and mandatory compensation they are owed from successfully filing and prosecuting qui tam lawsuits.